We are testing a new booking process this summer for customers travelling in groups of 10 or more within the U.S. This new process gives customers more control over their booking and can be managed through delta.com or the Fly Delta mobile app. This change also frees up Delta reservations specialists to assist with increased summer call volumes. 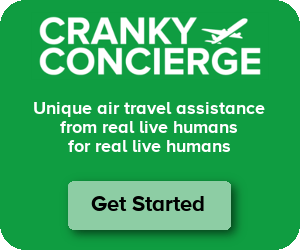 This test does not affect the booking process for international group bookings or Delta’s Meeting Network and managed travel agencies who have Delta Global Sales contracts and an assigned Delta Sales Executive. There are benefits to doing that, for sure. People will now be able to manage the trip online (couldn’t before), and Comfort+ and Premium Select can be booked (again, couldn’t before). Group-issued tickets also couldn’t be upgraded previously, but these can be. Most importantly, it cuts down on the cumbersome groups process. All the hefty paperwork and ticketing issues go away. You just shop and buy like anyone else. I realize this sounds like group travel is terrible and this change is good. For many people, that is the case, even though it means that you’ll need multiple reservations for the group. (Delta won’t allow more than 9 to be booked in a single reservation.) Where it’s bad, however, is for those who need flexibility. Group travel may be a pain to book, but it provides real flexibility that doesn’t come with regular tickets. Groups, for example, do not need to ticket right away. The fare is locked in until a certain date before travel. Even better, the number of people isn’t locked in. You always have some leeway on adding or subtracting people without penalty until ticketing is done. Name changes are far easier as well. (You can read some of these rules on Delta’s terms page.) This doesn’t matter for every group, but it does matter for some. I first heard about this from someone who used to book travel for a minor league hockey team. Minor league teams in any sport thrive on group bookings for two reasons. One, they have a lot of people traveling. Two, they need flexibility on who travels. For a minor league team — where people are constantly going up and down to the big leagues and/or getting hurt — this flexibility is key. Delta is now not an option for teams like this. What would I like to see happen here? I wish Delta would keep some sort of domestic groups product for those who value the flexibility. It can be smaller than the current groups program, but it would still serve a vital role. I also wish Delta would just clearly say what it’s doing instead of playing the spin game on creating a new process. But that may be wishing for too much. One of the more enlightening experiences I had was about 30 years ago. I looked into chartering a 727-200 for a trip from ORD to PHX, and we were looking at 90+% load factor. The cost per passenger was substantially higher than transporting them in groups of 40 on a regularly scheduled flights. I was quite surprised. The truly unpleasant surprise was just how large the price difference was (it was close to 30%) in favor of the group travel. Don’t know how that works now, but I doubt it is a lot different. I did once book a group of 40 on WN about 15 years ago, and while WN had some lower fares, it was still a substantial discount from the regular fare. Ultimately this is DL saying that domestic group travel isn’t worth the headache. With Load Factors in the mid to high 80’s, domestic group travel is ultimately just taking up space that will likely sell anyhow. And even if it’s not much a discount, it is taking up more time and resources than just normally selling the seats. I would be interested in knowing how much of a deposit (if any) is needed to reserve the space. And what percentage of groups ultimately cancel which leads to potential spoilage. Nick – Yes, with groups there is a commitment. You can’t just make a reservation and then walk away. They’ll hold it for a small period of time without committing but then you either need a deposit or, if an agency is booking, the agency has to guarantee the space. The flexibility comes in not having to ticket right away, so the names don’t matter at that point. And there’s usually a rule letting you flex the group by 10% without penalty. So it’s not a system that can be gamed very easily. I still have vivid memories of helping out a group of Chinese nationals who wanted to fly to Buffalo (Niagara Falls) from NYC. That’s when I learned that, unlike most business, airlines don’t consider groups to be all that valuable. It sounds like int’l groups might still get discounts sometimes, though. Is that true? Like say you’re arranging a school trip of 30 high schoolers to Europe. Will they save ANYTHING off the published fares? If fares are cheap, I would assume “no,” but what if fares are averaging $1000? iahphx – I think they do still get discounts sometimes, but it all depends upon availability. I’ve found that it can actually cost more sometimes. So that explains my frustration in attempting to use them for 2019 group flights. Delta has simply cut back on offering ANYONE the ability to book groups. There are a handful of “specialty agencies” that are still allowed to book groups on Delta airlines. I asked the Delta Group Specislist the name of the travel agencies that they are still allowing to book group domestic flights and she wouldn’t share the information. The group travel option was pretty cool but I guess we’ll have to book another way.